Former East Coast Canadians Amy Schwartz and John Furness of Unleash create unique remote working experiences for surfers with wanderlust. 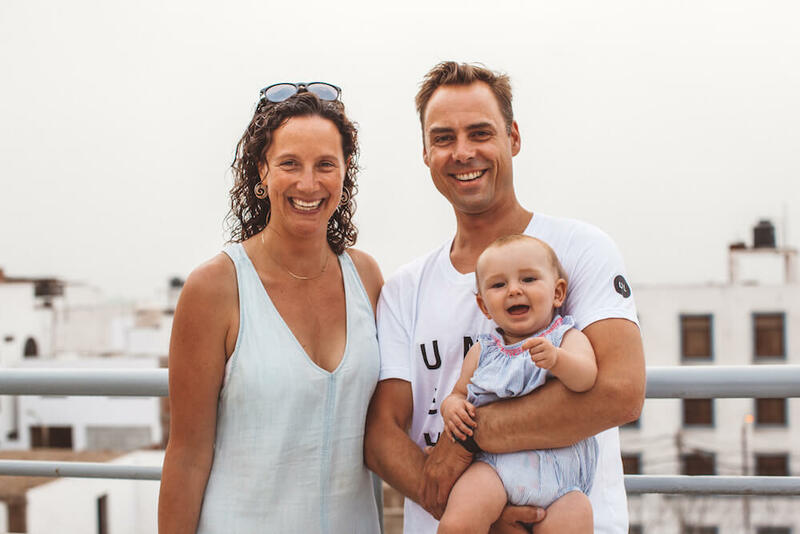 The duo are currently set up on location in Huanchaco, Peru – credited as a birthplace of surfing dating back 5,000 years – and the couple also have a ten-month-old daughter in tow, adding a whole new dimension to their travels. 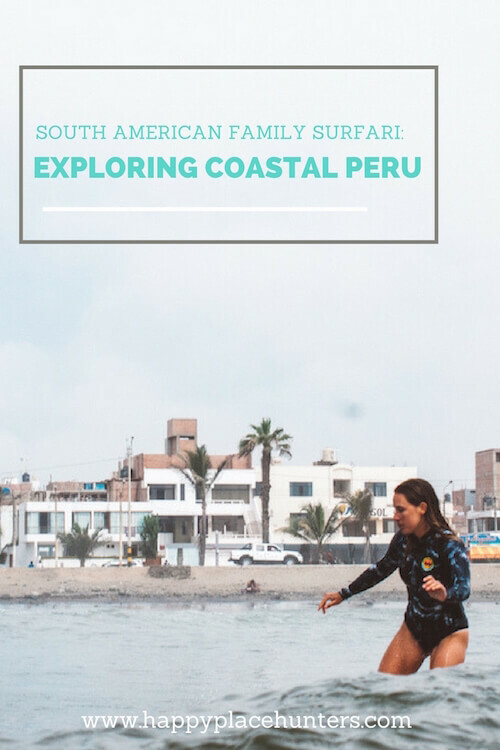 Amy gives us the scoop on their top picks for surf families venturing to Peru in search of waves, cultural sights and adventure. A: Peru kind of has it all – the best food in South America, incredibly consistent surf, you practically trip over artifacts from pre-Incan times wherever you go, there’s major variation in landscape and culture from the coast to the mountains to the jungle, and all the tourists go on the same route, so it isn’t hard to get off it and have really special travel experiences. 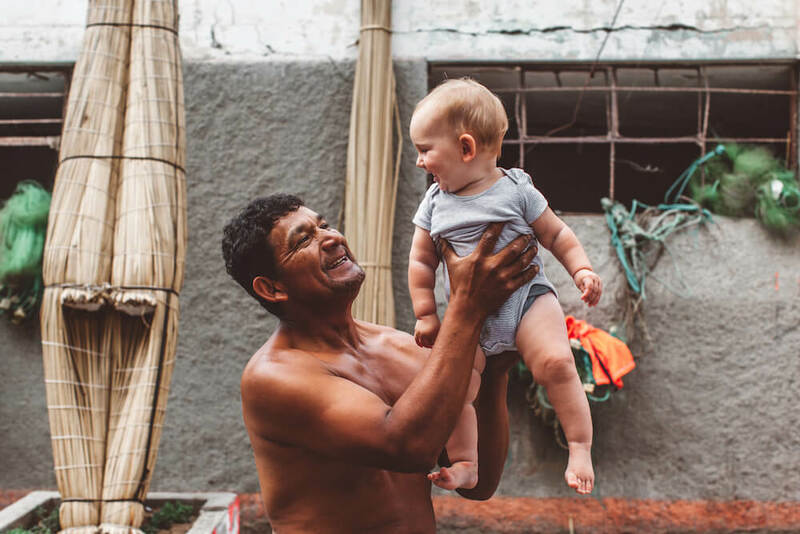 Peruvians love kids and it is easy to make friends when you’re travelling as a family. Almost every restaurant has baby-seats and endless patience for children, most services have a ‘preferential’ line for parents with children in tow, and you rarely get the stink-eye when tantrums happen. You may get comments that your children aren’t wearing enough sweaters or shoes (especially if you’ve got a sweaty Canadian child) but just remember there’s more of a village-raises-the-child approach in Peru and people aren’t trying to insult your parenting choices. Q: How extensively have you toured the region? A: I used to live in Lima and in Huanchaco. I’ve travelled up and down most of the coast, and throughout the rainforest and jungle regions, as well as Chachapoyas, Lambayeque, Madre de Dios, Puerto Maldonado, Tarapoto, Tacna, Lima, Ayacucho, Piura, Cusco, Huaraz, Tumbes, Mancora, Lobitos, Cajamarca. I’ve also gone from the Andes to the Amazon on a bike, and deep into the Amazon on a boat. 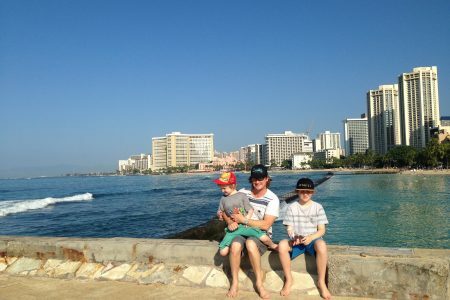 Q: Which areas would you recommend surf families add to their itinerary? Best kid friendly beaches/surf breaks? 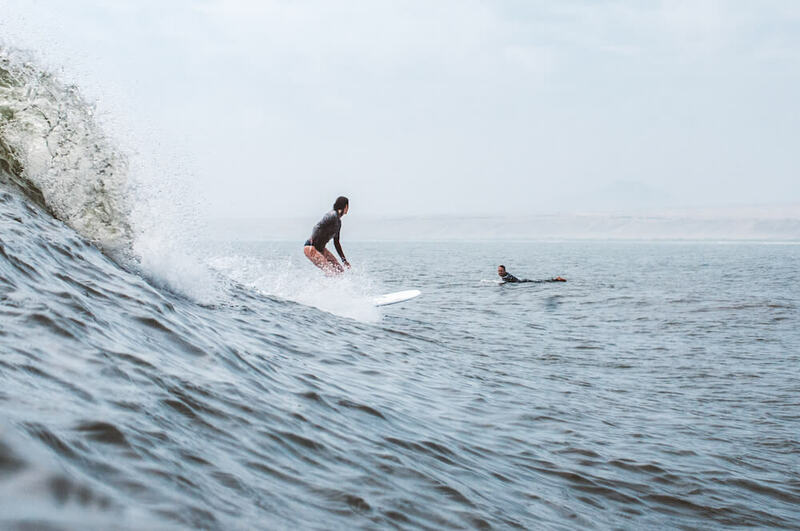 A: Huanchaco is definitely my top recommendation – it has a great beginner wave on one side of the pier and on the other side, a long point with several sections that makes progressing beginners and intermediate surfers equally happy. It has great surf-schools and when it gets too big it is a short trip to Chicama, the longest left in the world, which needs a larger swell. It is also an easy place to hang-out. Food is cheap and delicious. You can walk to everything, the waterfront is always alive with activities, it’s really safe and there’s a fantastic Thai massage place near town. There’s impressive Moche and Chimu ruins in the area, lots of hotels with pools and child-friendly activities nearby including a small botanical gardens and special Peruvian horse-show. 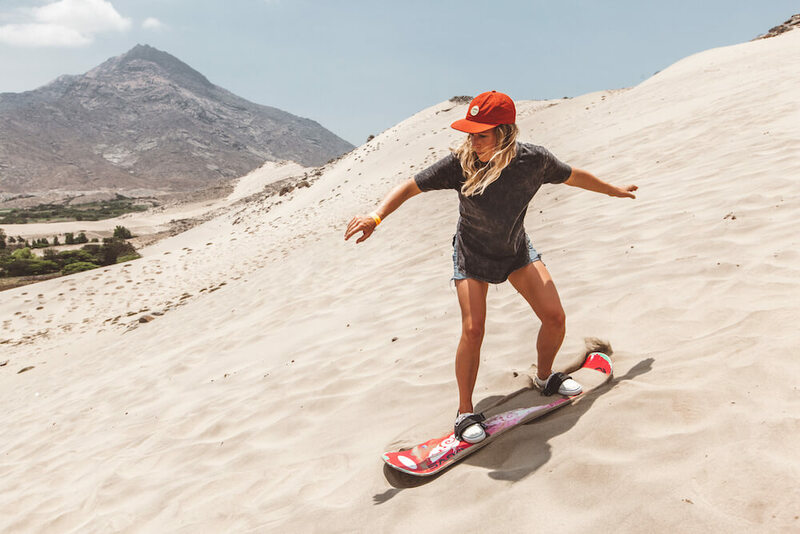 Unleash sets up families with everything they need in Huanchaco, including a big apartment, a baby-sitter or nanny, surf lessons, rentals, guided tours and a big curated list of places for families to surf, eat and play in the area. As well as the local Montessouri school if needed. So basically a family just has to show up, mom and dad can work in the co-work space and surf whenever they like, and we take care of everything so it’s as easy and relaxing as possible. There’s some chill surf towns south of Lima, like San Bartolo, Punta Hermosa and Cerro Azul that make for great family surf destinations as there is a good variety of waves and things to do in the area. Cerro Azul in particular has a family friendly left and a great little plaza. 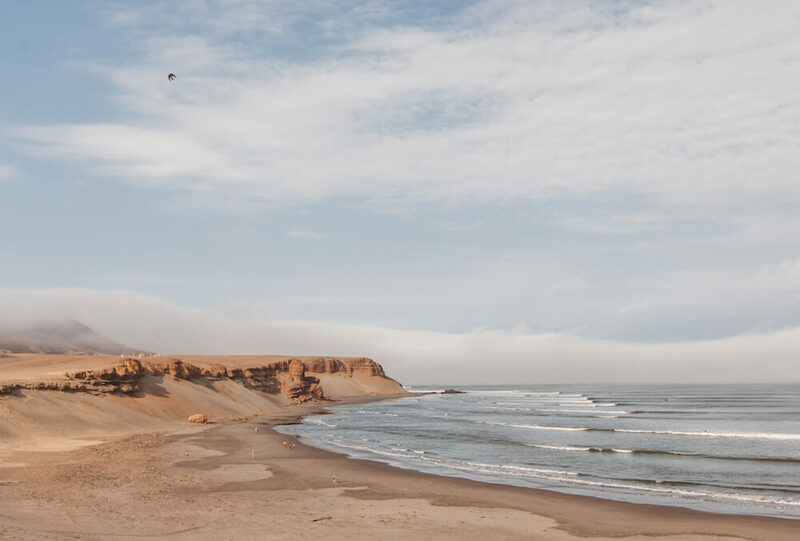 Los Organos in the north of Peru is a beautiful beach-town with some gorgeous places to stay and super-chill waves, but the swell isn’t as consistent as the rest of Peru. 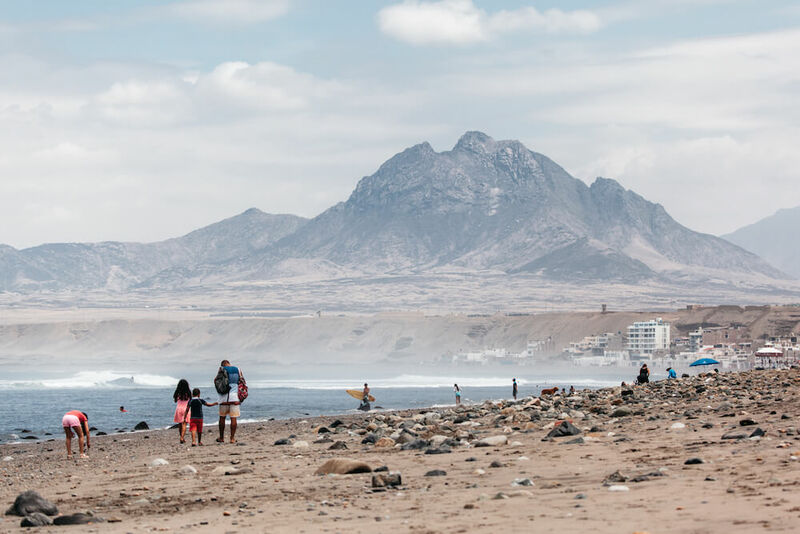 Other great surf spots include Lobitos, Cabo Blanco and Chicama, which are all incredible places to visit and surf, but don’t have as much to do for families. A: The only hazards of note is renting boards from a place that doesn’t provide quality equipment. If you go to Huanchaco we recommend renting from Angelo, also known as TRW boards, or from Muchik Surf School. Muchik provides great lessons for people of all ages and abilities. A couple of their instructors speak English. The locals are mostly friendly in and out of the water in Huanchaco and Cerro Azul. In more popular beach destinations, like Mancora, the waves aren’t as consistent and there are more surfers so the locals aren’t as happy to share waves with you. There’s never been a shark attack in Peru and, according to my shark scientist friend, there’s none that you need to worry about. For the most part Peruvian surf spots are quite clean, but depending on currents and swell, some surf spots in that are closer to cities can get polluted so pack ear plugs. Q: What’s the best time of year to visit for waves/ weather / least crowds? A: There are waves every day all year round in most of Peru. 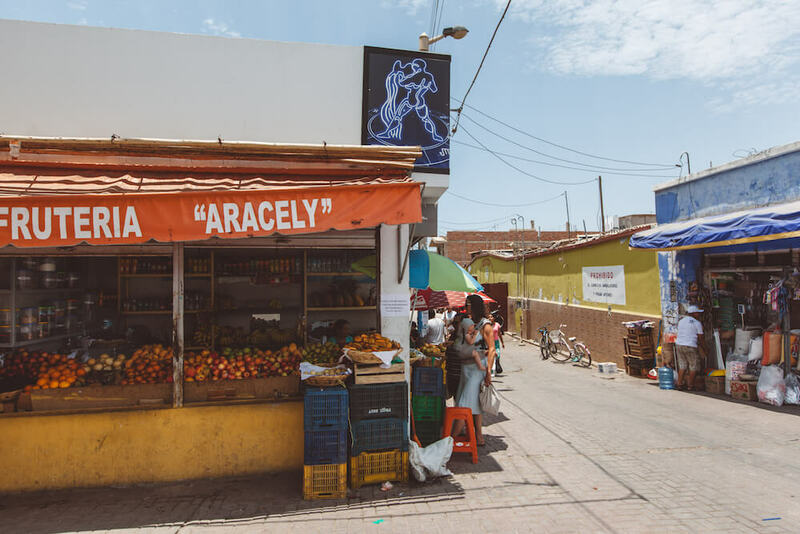 The weather is sunny and warm from December to May, but school is out for the summer from December-March so it can get busy with Peruvian tourists in beach towns like Huanchaco and Cerro Azul. The waves are biggest and least crowded in the winter, from June to October. Huanchaco is uncrowded all day until 4pm – when the locals get off work and play in the water. From sunrise until late afternoon it’ll be you and a handful of other people in the water. Q: Average water temp – is it wetsuit territory year ’round? A: Yes. It’s usually about 17 C in the water in Dec-April. It can get up to about 24 and as cold as 15. Usually I need a long sleeved 3/2 in the mornings and a shortie, or shorts/bikini/rashie in the afternoon. Q: Is it easy to get around Peru? And how does transport rate on the boardbag and stroller-friendly scale? A: Public transport in Huanchaco is easy. There’s buses that go to the nearby city, and cheap taxis as well as moto-taxis (tuk tuks) for getting around town. But walking everywhere is the way to go. 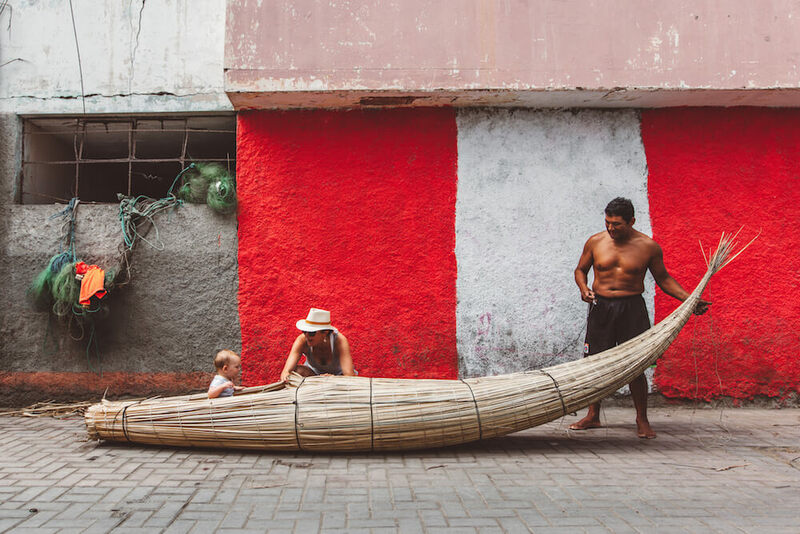 It’s a piece of cake to transport boards in Peru – everyone is willing to tie them to the roof and be gentle. It’s so-so for strollers. Most foreigners bring the off-road style strollers so it is easier to navigate the curbs and uneven sidewalks common in Peru. With a bit of Spanish, getting around in most Peruvian towns via public transit or taxi is pretty cheap and easy. There are incredibly comfortable bed-buses (bus-cama) that you can take between destinations in Peru, but I would recommend flying to Cusco if you want to see Machu Picchu – the bus ride there is really long. Although it may look tempting, I wouldn’t recommend renting a car and exploring the coast with a family in Peru – unless you’ve already done some major road trips in South America and you have great Spanish. You’d be better off taking the comfortable buses or hiring a driver who knows the routes, hazards, roads and police pull-over routines. If you have more questions about this, send me a message. Q: What about buying items for kids on the road – is it easy enough to get western baby and kids supplies like diapers and bottles etc in most places, or would people be best to pack extras? A: You can get everything you need in Peru for kids. The big-ticket items are more expensive but clothes and diapers and such are cheap. If you’re the crunchy granola type and want to find non-perfumed and organic things (like us) you’ll have to bring more from home. Q: When non-surfers go to Peru they’re usually beelining straight to Inca ruins like Machu Picchu or Cusco. 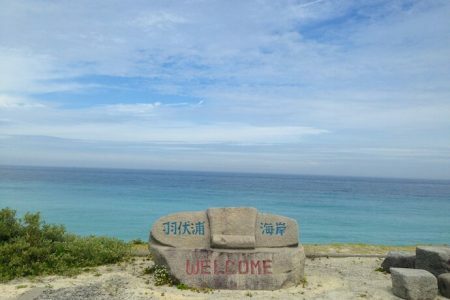 Are there many cultural sights near (or on the way) to any of the surf breaks mentioned that could make good side trips/ day trips? A: That’s what Unleash is all about! There’s amazing places in Peru that most travellers overlook because tourism promotion in Peru almost exclusively pushes Machu Picchu. There are tonnes of incredible pre-Incan ruins near Huanchaco in particular that make this area so much more than a surf trip. Chan Chan, the largest ancient city in the Americas, is 10 minutes from the surf-break, and just a little further is Huaca de la Luna where you can see 3500 year old frescoes that depict sacrificial rituals. My personal favourite is Dama de Cao, where there is an excellent museum and archeological site that shows the mind-boggling jewelry, sceptres, textiles and mummified body of the powerful Moche Queen who once ruled the area. There are areas like Kuelap and Marcahuamachuco that are within a 6-hour to 10 hour trip from Huanchaco or Chicama that are considered uncrowded sisters of Machu Picchu for the grandeur of their location and historical significance. If you’re in the Northern Peru region for a while I’d also suggest doing a mountain retreat of hiking and hot-springs in Cajamarca or Huaraz. Q: Tell us a bit more about your biz – and how much of what you do is inspired by being a parent now? A: Unleash offers remote-working surfers (or learners) 2-week, 1 month or 2-month experiences where you get a private apartment, co-working space exclusive to the group, unlimited surf coaching or lessons, Spanish lessons, yoga classes, cooking classes, cultural tours, surf trips (i.e. 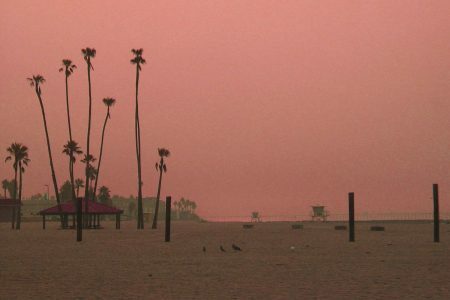 to Chicama – the longest left in the world) and curated lists of where to eat, drink, play, surf – all included in the price. As well as a really great group of other people who are doing the Unleash experience. We started Unleash while I was pregnant so that we could transition our lifestyle into one where I’m not bound to an office (I worked in government on renewable energy programs). John has always worked remotely and we’d long agreed that we wanted to travel as a family and give our daughter the opportunity to understand how normal and amazing the whole world is – from the beginning of her life. It’s amazing watching her absorb the sounds, the people, the food, the colours, the spontaneity of travel. I couldn’t have dreamed of a more excellent way to introduce her to the world. 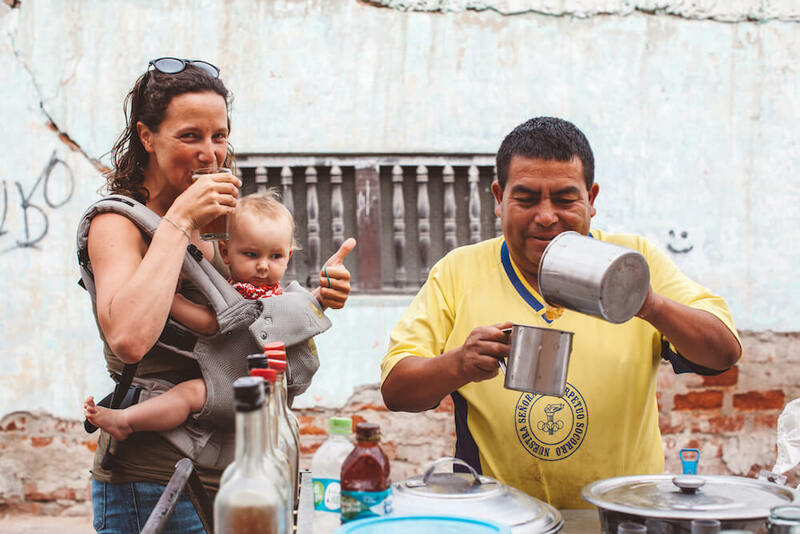 So yes, a lot of our ambition to make Unleash a family-focused experience is inspired by how she is experiencing being in Peru and how we are, as a family, living this dream to surf-travel-work. As you know, it’s not easy travelling with children, especially when one or both parents have to work remotely. But when you have experts who understand family needs that are taking care of all the details so you can focus on your family, surfing and getting your work done, it makes dreams of rewarding family travel totally possible. Amy catching a wave while John looks on. Photo Jonathan Sather. Q: How do you juggle the whole work productivity/child-rearing thing? A: It took a while but John and I figured out a system where we can start and run Unleash, maintain John’s web-design biz and not feel too overwhelmed. We alternate work days and baby-time days. So John works Monday, Weds, Friday and I have Delmar those days and I work Tues, Thurs, Saturday while he has Delmar. We have a wonderful nanny every afternoon as it is really affordable to do so in Peru. So we each get lots of time with Del in the mornings and evenings and ¾-time hours. On the odd evening one or both of us has to work when she goes to bed, but it’s worth it for all the time we both get with her during her waking hours. A: Eat mangos. And avocados, and passion fruit, and grapes and bananas and watermelon and pineapples. And fruit smoothies that are everywhere. You get the idea. The fruit here is out of this world delicious. Machu Picchu is cool, but don’t worry about it if you have to miss it because you needed a few more days surfing or relaxing in Northern Peru! Found this post helpful? Pin it! 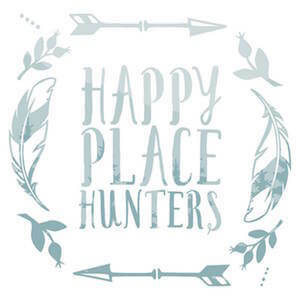 Happy Place Hunters is dedicated to family adventure travel tips and tales. We want to surf all the seas. Ski all the mountains. Hike every trail, marvel at every natural wonder. But adventure is always best shared – we want our children to enjoy these experiences too. We're also advocates of adventures not-so-far from home; trying something new, getting outdoors and expanding little imaginations. Create a life you don't need a holiday from, then go explore anyway.